A kingpin is provided for use on a trailer in a system with the tractor linked to a trailer. The kingpin includes a shank and a selectively deformable head, whereby during a trailer rollover event, the kingpin head deforms allowing the link between the tractor and trailer to be broken and the tractor to remain upright. 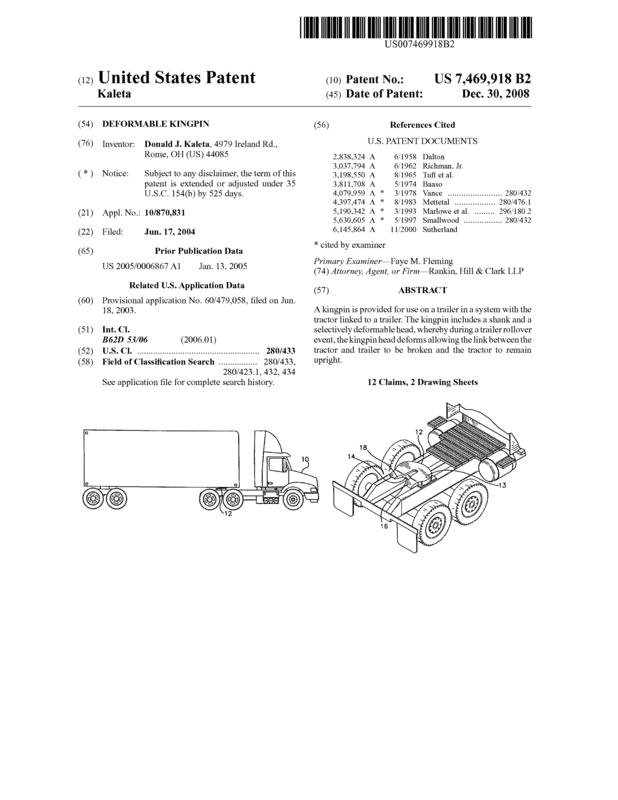 A U.S. Patent 7,469,918 was granted for a DEFORMABLE KINGPIN™ on Dec. 30, 2008 that will disconnect a Truck Tractor from its connected Trailer when ROLLOVER accidents of commercial combination vehicles are IMMINENT, with many thousands occuring each year. This Invention will save the Tractors Destruction and it's occupants of Men, Women & Children from Harm and Death; who's numbers are in the many Hundreds that are killed each year in the U.S. alone. 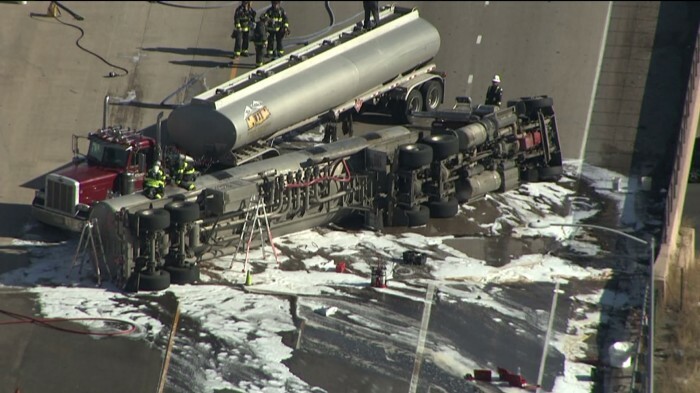 It will further eliminate catastrophic incendiary bombs associated with combustible Tanker Trailer rollovers which have incinerated Tractor occupants and caused great financial infrastructure damage in the past; as understandably, the Tractor is the starting flash point for incendiary Tractor Trailer Rollover fires. 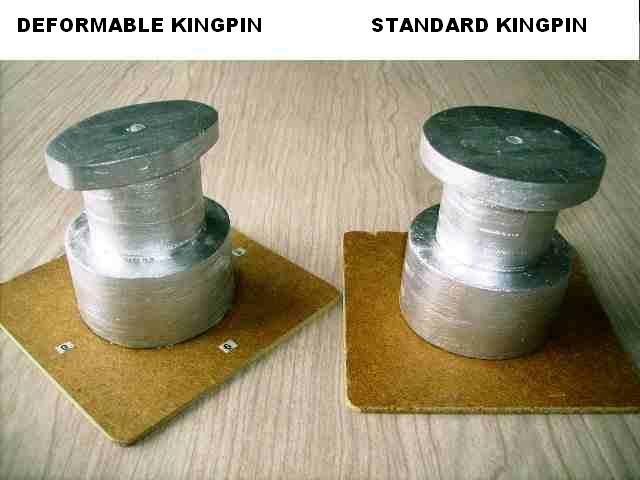 The DEFORMABLE KINGPIN™ is a simple minor modification to the existing Trailer coupling KINGPIN that is a standard and has been for over 70 years; is a fail safe as fuses and circuit breakers are in electrical systems, has no mechanical or electrical parts to corrode, wear or adjust. 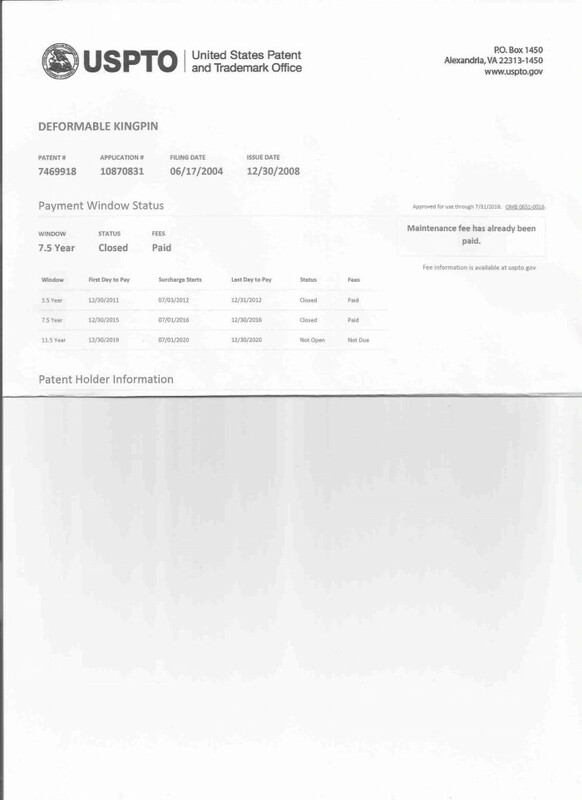 Further attributes for this innovation can be viewed by searching DEFORMAGLEKINGPIN.COM that exemplifies the dire consequences of these types of catastrophes. 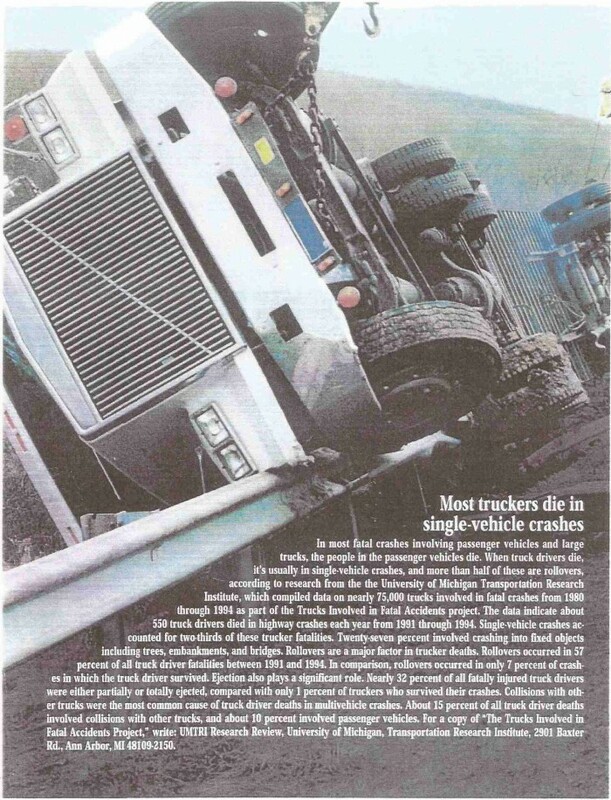 This site is the Inventor's research into Tractor Trailer Rollover accidents that includes the submission to the Transportation Research Board that will expose the road block obstacles to all interested parties for the commercialization of this Invention. 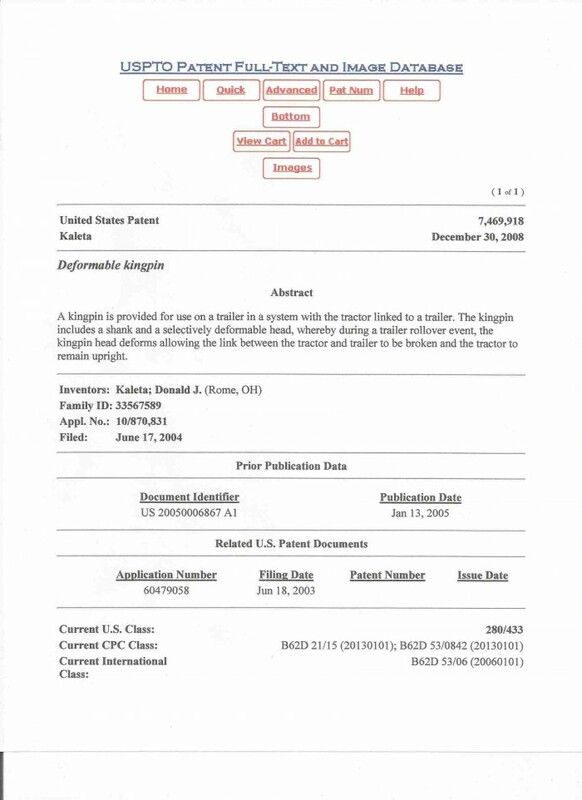 This Inventor is seeking an individual or organization that has the resources to further research test and commercially develop the Deformable Kingpin™ and this Inventor will provide a 95% exclusive license to the successful buyer and the Inventor retains 5% of any and all gross sales as royalties of U.S. Patent 7,469,918. Page created at 2019-04-25 0:07:23, Patent Auction Time.